The University of Alaska’s Board of Regents unanimously agreed on a budget today, a week after the Legislature decided to cut university funding by about $8 million. That cut comes with a $3 million increase in the university’s costs. To absorb its share, the University of Alaska Southeast is selling property and sweet-talking potential donors. 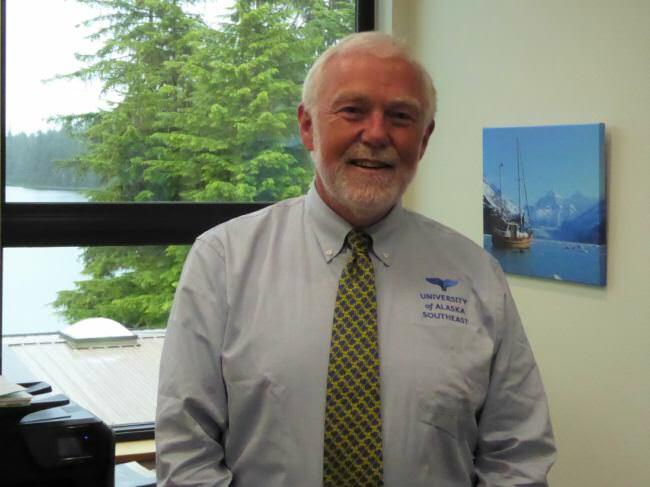 Rick Caulfield, chancellor of the University of Alaska Southeast, said the University of Alaska’s funding isn’t settled yet. Gov. Bill Walker could still make adjustments with his veto power, and the Legislature hasn’t passed a capital budget, which Caulfield said could bring more money. “We’re waiting not only on the operating side, which is the governor’s signature but also on the capital budget,” Caulfield said. Caulfield said UAS will lose $400,000 to $600,000 under the current plan. Cutting through attrition means not filling positions when someone quits, retires or is fired. Caulfield thinks this time they’ll only lose one faculty person. Last year, he said UAS cut 32 positions. This is the fourth budget year in a row that the University of Alaska has taken cuts and they’re adding up. The cuts also mean fewer resources for things like marketing, advising and financial aid, he said. Caulfield isn’t happy about the cuts, but he knows it could be worse. Originally, the Senate proposed close to a $22 million cut. According to a university news release, the budget also sets aside $6 million for a few select areas. Caulfield said the money is going toward things like academic research, improving office efficiencies, driving up enrollment and improving retention. Caulfield said the university wants to increase the number of students pursuing highly demanded jobs like nursing and teaching; that every dollar put into research tends to bring back about $4 in outside investment and research improves knowledge on issues such as climate change and fisheries. Caulfield is looking for more money to help make up what UAS will lose. The school also recently sold a house previously donated by Alaska’s first female attorney general, Grace Schaible. Schaible passed away earlier this month. Caulfield said the house sold for about $439,000 and UAS put the money into an academic endowment. The university also is drumming up support from past donors and Caulfield is asking UAS alumni to help out their alma mater. Caulfield said private donations are a modest part of UAS’ budget, partly because the school is young and has a smaller pool of potential donors, but Caulfield hopes that one day those private dollars will help shore up his budget, especially if the cuts continue.